One of my favourite treats. It’s one that I used to take for granted while living in Canada and before my metabolism slowed after I hit 30! Turns out that chicken wings are not a staple menu item in most pubs around the world – and they don’t always cost 10 cents a piece – so when the craving strikes, I’ve taken to making my own. Designated “version 1” because the sauce wasn’t as thick as I’d imagined. However, it was pretty tasty and still coated the wings, so I’ve decided to stick with it. 1. 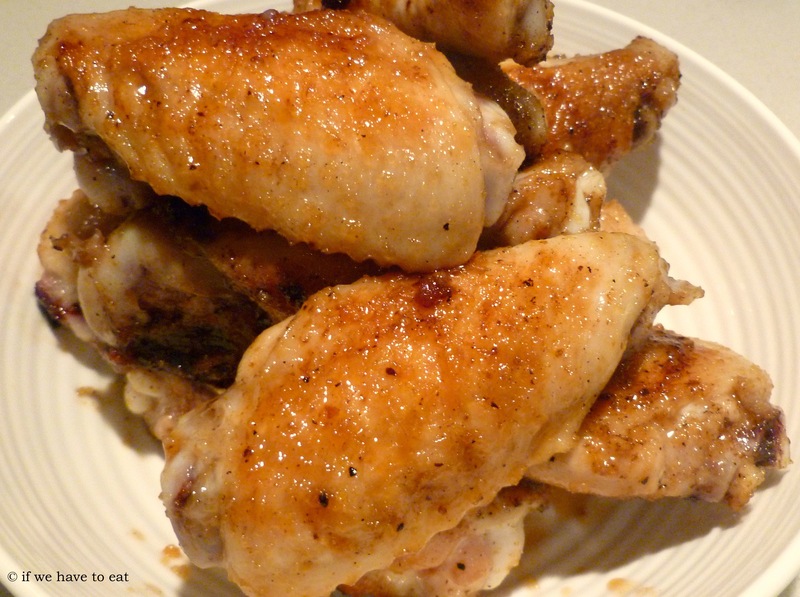 The wings may have to be cooked in batches – or use multiple pans. They can also be cooked on the BBQ. This entry was posted on June 12, 2013 by ifwehavetoeat in Mains, Snacks and tagged Mains, On the Stove, Poultry, Recipe, Snacks, Thermomix.